This standing camel is made of meenakari metal. The essence of royalty is exposed through the posture of this camel. The camel is blue in Read More..color. The vibrant colored meenakari work is sure to fascinate anyone. It will surely make a very good present for any occasion. 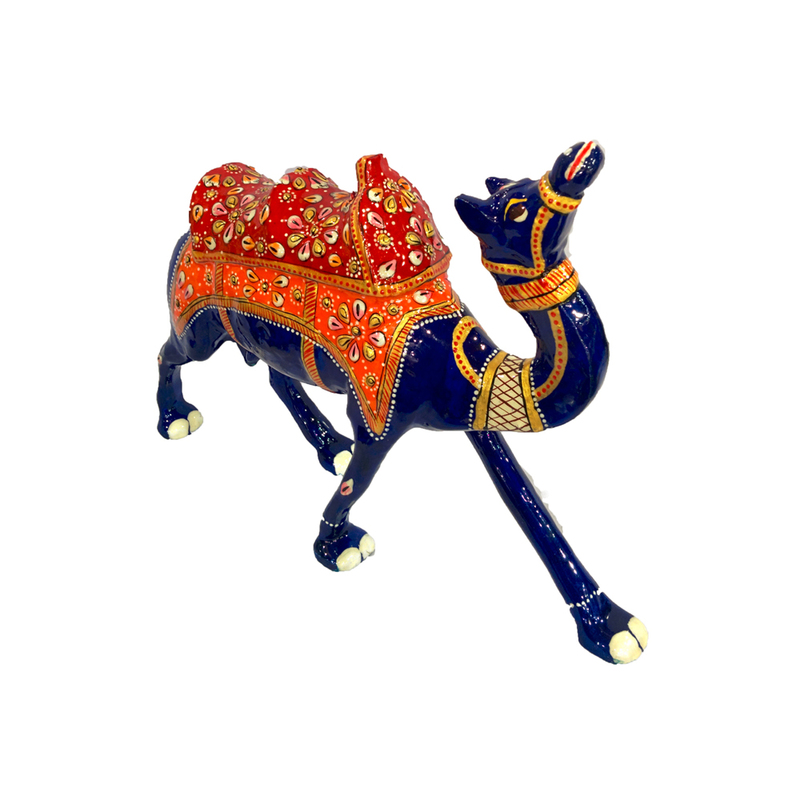 This camel will surely ignite the atmosphere with rajasthani art work and heritage. Placing it in the living area will surely appease the eyes of the guests. Show Less..